Treat yourself to the ultimate in relaxation. Choose from aromatherapy massage, therapeutic massage, sports injury therapy, repetitive work strain therapy and hot stone massage. A variety of treatments to choose from, all of which are performed by Registered Massage Therapists. NEW: Massage treatments now include pool, sauna and whirlpool access with towel service. This type of massage is a combination of rocking, shaking, kneading and stretching. It may also include myofascial release, trigger point release, lymphatic drainage, hydrotherapy and acupressure. 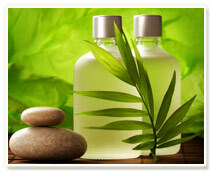 Aromatherapy massage combines the healing properties of essential plant oils with the relaxing benefits of touch. Massage can be stimulating or relaxing depending on the oils used and the technique applied. It is an effective way to regulate mood, relieve stress, anxiety and tension, as well as to alleviate pain. This unique experience goes beyond traditional massage with sensations of warmth and deep relaxation as penetrating heat from the smooth basalt stones melt away knots, tension and stress. The stones are used to massage you with the aromatic oils and then are gently placed on specific acupressure points of the body. Effective in creating harmony and a positive energy flow promoting a sense of balance energy and peace, indulge in a hot stone massage...your body and mind will thank you. When you come in for your first massage, you will be required to fill out a health history form that we will use to make up a treatment plan for you. Your comfort is of great importance. You are not required to take off any clothing; however, massage is most effective when it is performed directly on skin. You are covered at all times aside from the area being treated at the time. At no time will you be exposed. You are in control at all times during your treatment. If you ever want to alter your treatment or stop the massage, you need only ask. You may ask questions any time regarding your treatment. All treatments are performed by specifically-trained Registered Massage Therapists and are covered in many healthcare policies. Please inquire about availability. At the end of each treatment the therapist documents findings. Included are details of specific manipulations and any recommendations that were given during the massage. Therapists are required to continue their education as part of the Quality Assurance Program and to perform a Self Assessment to ensure that you receive quality care of treatment. Gratuities and applicable tax are not included. Massage treatments now include pool, sauna and whirlpool access with towel service. Give the gift of relaxation with a gift certificate for one of our massage treatments. Gift Certificates are available for purchase at the Sports and LeisureDome. Please contact our Sports & LeisureDome Guest Service Staff at 705-435-5502 to inquire about massage availability and to book an appointment. 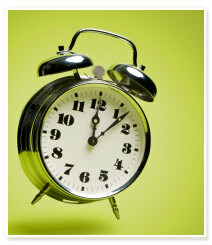 When booking a massage please provide two hours notice to ensure availability. A valid credit card is required to reserve an appointment.